Professor Freedman passed away on 17 October 2008 at the age of 70. Remembrances of Professor Freedman offered by family, friends and colleagues at a memorial on 2 December 2008. D.A. Freedman. “Diagnostics cannot have much power against general alternatives.” [PDF-Preprint] To appear in Journal of Forecasting. S.P. Klein, D.A. Freedman, R. Shavelson and R. Bolus. “Assessing school effectiveness.” [PDF-Preprint] To appear in Evaluation Review. Vol. 32 (2008) Dec.
D.A. Freedman. “Randomization does not justify logistic regression.” [PDF-Preprint] Statistical Science vol. 23 (2008) pp. 237–49. D.A. Freedman and R.A. Berk. “On weighting regressions by propensity scores.” [PDF-Preprint] Evaluation Review vol. 32 (2008) pp. 392–409. D. A. Freedman, D. B. Petitti, and J. M. Robins. “On the efficacy of screening for breast cancer.” International Journal of Epidemiology, vol. 33 (2004) pp. 43–73. [IJE] [PDF-Preprint] Correspondence, pp. 1404–6. P. Diaconis and D.A. Freedman. “Consistency of Bayes estimates for nonparametric regression: Normal theory.” Bernoulli Journal, vol. 4 (1998) pp. 411–44. D.A. Freedman. 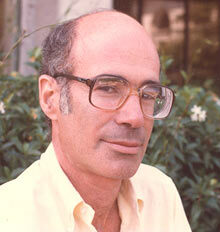 “De Finetti’s theorem in continuous time.” In Statistics, Probability and Game Theory: Papers in Honor of David Blackwell. Institute of Mathematical Statistics Monograph 30 (1997) pp. 83–98. T.S. Ferguson, L.S. Shapley, and J.B. MacQueen, eds.